The all-electric mobility wheelchair user faces many challenges. Speedy has the solution. The Elektra 3 builds on the strengths of Elektra 2, but is a completely new development. It is leaner and lighter than its predecessor without compromising on performance. But the new design is only half the story. The technical details make the real difference. 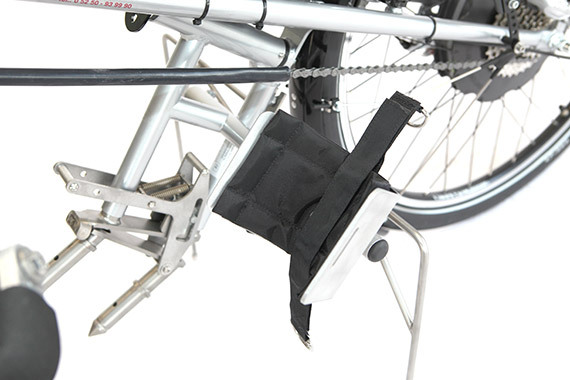 Forest paths, meadows, gravel paths, cobblestone roads, snow-covered paths or gradients, this power pack can tackle them all. 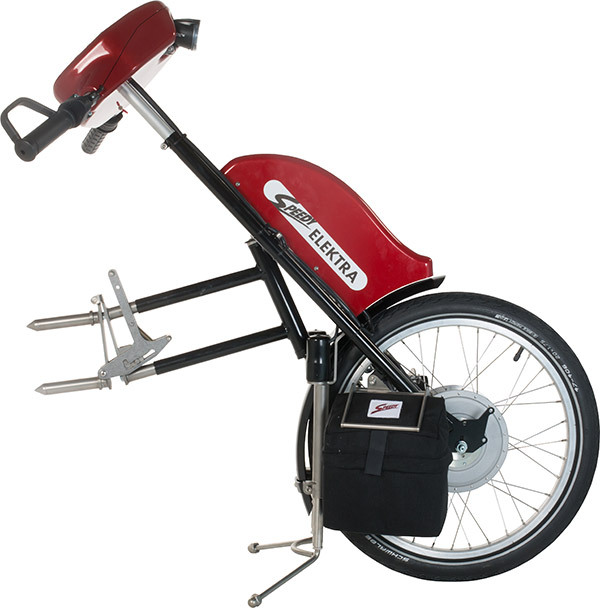 The Speedy Elektra 3 offers excellent ride comfort, optimum ride characteristics and impressive motor performance. 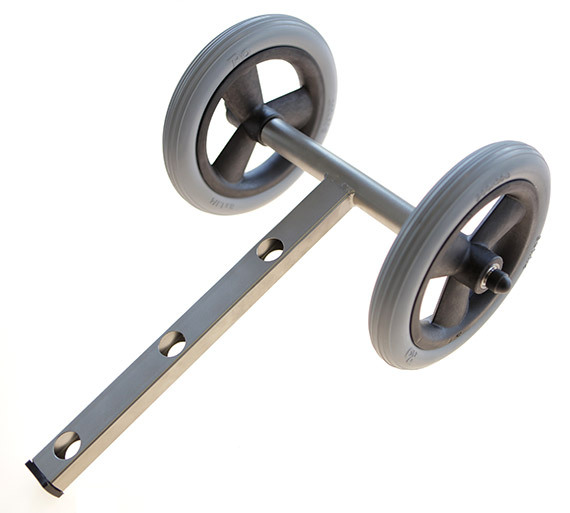 Wheelchair users can choose from a variety of equipment. Ultra powerful or fast. The standard 20 inch drive with a torque of 69 Nm and a maximum speed of 6 km/h, is as fast as a brisk walker. The two fast variants 10 km/h and 14 km/h reach torques of 54 and 46 Nm, for example, and may be classified as vehicles depending on national regulations. In addition to the normal trekking tyres, the Speedy Elektra 3 can also be fitted with studded cross tyres. The uncluttered colour display is easy to read even in sunlight and provides information on speed, distance travelled and charge status of the batteries. The symbols are easy to understand and support intuitive operation of switches and buttons. The buttons themselves are noticeably raised and provide a pressure point that can be used by wheelchair users with reduced finger function. The controls are used to switch the Elektra on and off, operate the lights and the horn, or to select the forwards or reverse direction of travel. A high quality, 40-lumen LED headlamp and front reflectors top off the newly designed cockpit. The batteries, 24 Ah or 39 Ah depending on your choice, can be easily removed. This reduces the loading weight by more than half compared with the previous model. Without the batteries the electric towing device weighs just 17 kg and can be stowed more easily in a car boot. Using the electrically height-adjustable stand, the Speedy Elektra 3 is positioned with millimetre precision relative to the wheelchair during coupling, and is lifted up by means of motor power. 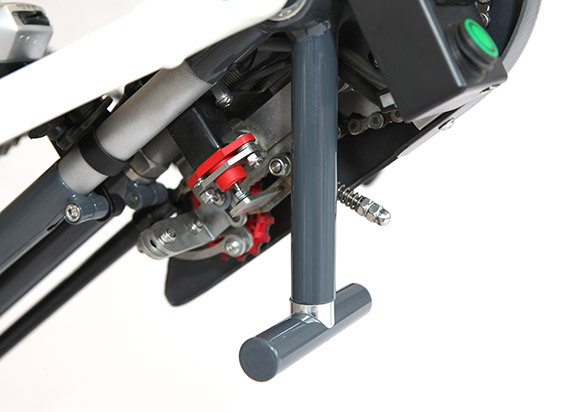 The power and speed of Elektra 3 can be adjusted precisely using the throttle grip. When the twist grip accelerator is released, the motor brakes immediately. The twist grip accelerator can be fitted on the left or right side and a special version is available for quadriplegics.